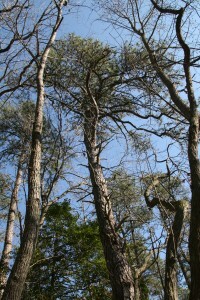 Pitch pine usually grows 50 to 60 feet tall with trunk diameters of two to three feet. Its branches are often contorted, which can give it a ragged but picturesque crown. The tree’s coarse-grained wood is very durable and can thus be used for lumber, but it is more likely to be used for fuel or other products. A very unusual trait of the tree is the presence of needles growing directly from the trunk. 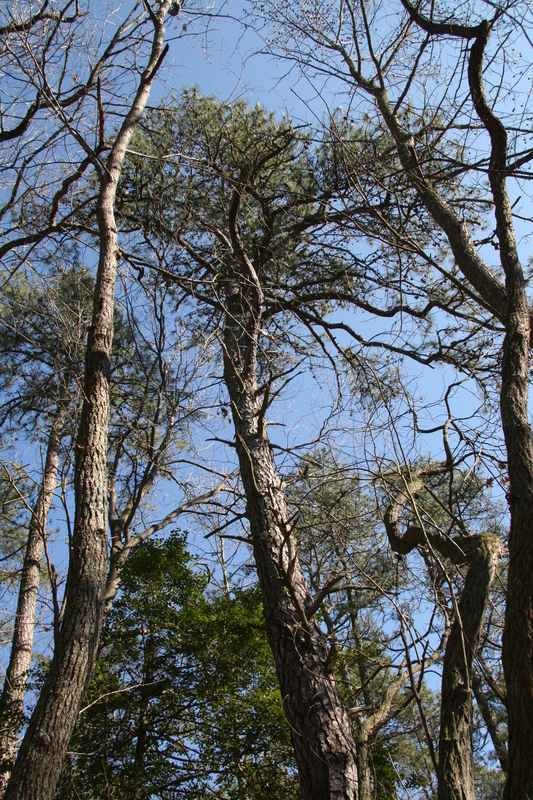 Pitch pine needles are 2.5 to 5 inches long with three twisted needles per bundle.